This crewneck graphic tee features the school boy look made famous by the band AC/DC. 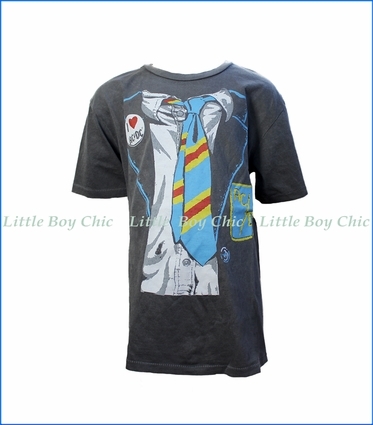 Loosed tie and shirt graphic along with a fan button. Classic fit and quality cotton provide comfort and softness.